We have spent the last week harvesting, food processing, and moving animals. The sheep are back from their summer pastures and once again grazing on the perimeter of the farm where there is plenty of shade for their wooly bodies. Several of the pigs decided they were ready for new digs, one of the boars took a stroll down Chaffin Lane and Winnie and her piglets had free run of the farm for days. This is a sign that they want their greens, so everyone has a new fall pen with fresh pasture. This is the last week of CSA! We hope that you have enjoyed the produce! We thank you for buying local, and your body thanks you for treating it to nutritious food. We didn’t plan on getting a crop of painted mountain corn. We have grown this corn in the past to sell seed, and it was a great favorite of ours. When we moved the farm to a different location and planted Painted Mountain the birds came in flocks and devoured every ear. Living in the river bottom we are in prime yellow-headed and red-winged blackbird habitat, so we figured we wouldn’t get a crop, we actually planted it as a decoy so they would leave the sweet corn alone. Surprise, surprise to find a few un-nibbled ears of this beautiful variety! 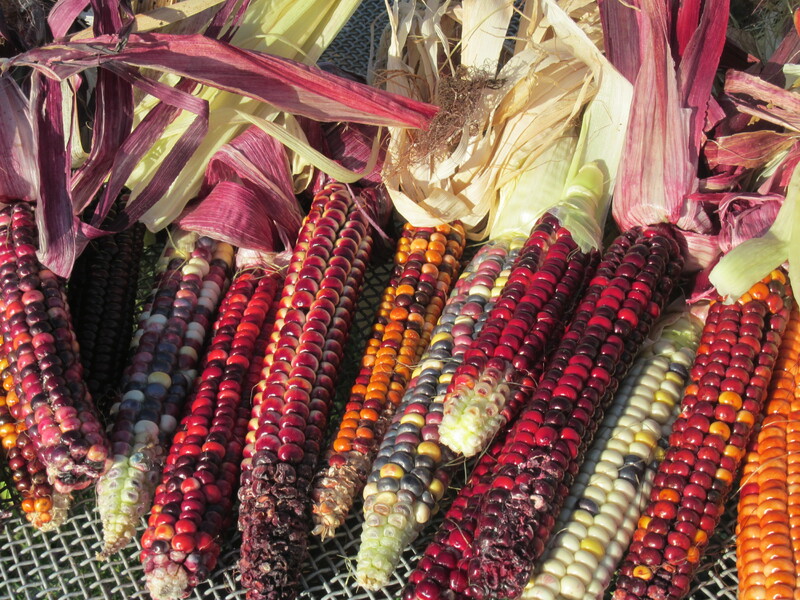 Peel the husk back to find the jewel-colored kernels. Allow the corn to cure for at least one month. This gives you an opportunity to appreciate the amazing colors. I have kept ears of this corn for years for its beauty. Once dry you can pop off the kernels and grind in a flour mill. Painted Mountain corn was developed in Montana by Dave Christensen. It’s a fascinating story, read more here. 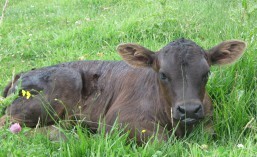 Buttercups have a dark green skin and an orange flesh. 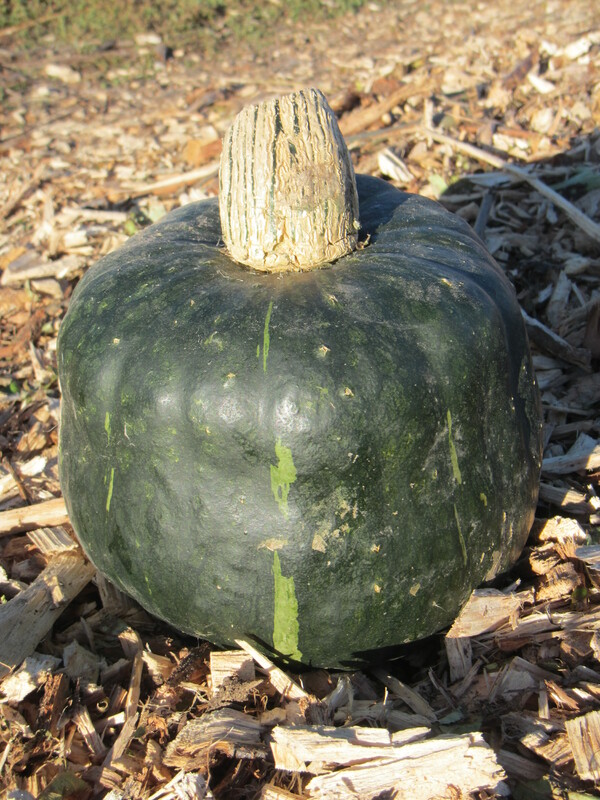 They are one of our favorite squashes. Our dog really likes this variety too! This is an open pollinated variety (i.e. not a hybrid) that grows well in our climate. We grew a hundred buttercup plants one year to collect our own seed, the pigs were very happy that fall. Buttercups have a thicker skin, like the sunshine squash in your box last week. They can store for months, but why wait. Jack O’Lanterns, yay! Save those seeds for the recipe below. 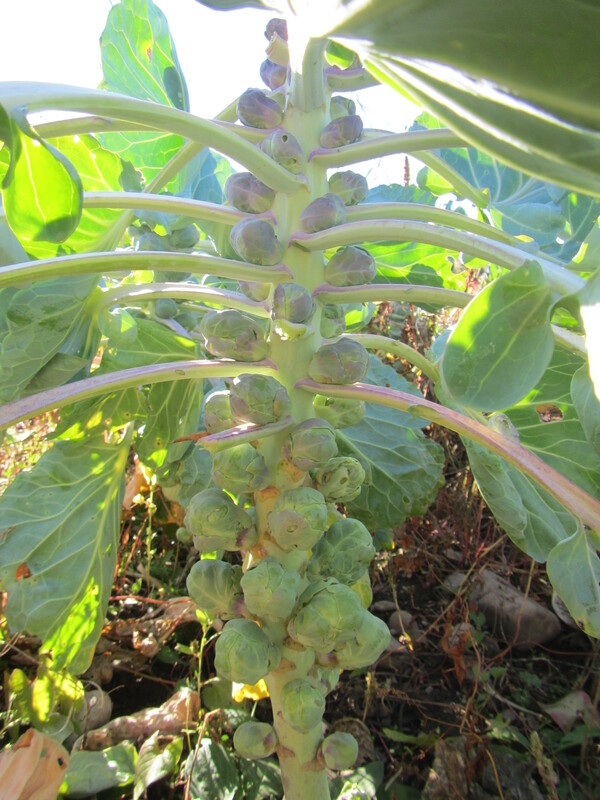 Brussels sprouts on the stalk are fun for seeing how this mini cabbage look-a-like grows. If you don’t have room in the fridge for the whole stalk, the sprouts can be easily popped off the stalk and stored in a plastic bag. Brussels sprouts can last a long time but they are best when eaten sooner than later, as their flavor becomes more assertive over time. Any food item that goes well with cabbage or cauliflower also makes a great pairing with Brussels sprouts, including butter, cream, blue cheese, mustard, capers, garlic, bacon, and vinegar. Brussels take well to steaming, roasting, or braising. If cooking whole, cutting an X in the bottom brings heat to their centers more quickly. Generally the small round heads are cut in half or thinly sliced, allowing them to cook faster and better absorb more sauce or seasoning. Note from Yourganic: Trying to slice a squash in half is crazy, keep your fingers and bake it whole! You can scoop out the seeds after it is baked. When I make a similar soup I use the whole can of coconut milk, why not? You also may want to blend this soup. Here’s a similar recipe with more complete directions. Preheat the oven to 400 F (205C). Cut the squash in half and use a large spoon to scoop out the seeds. 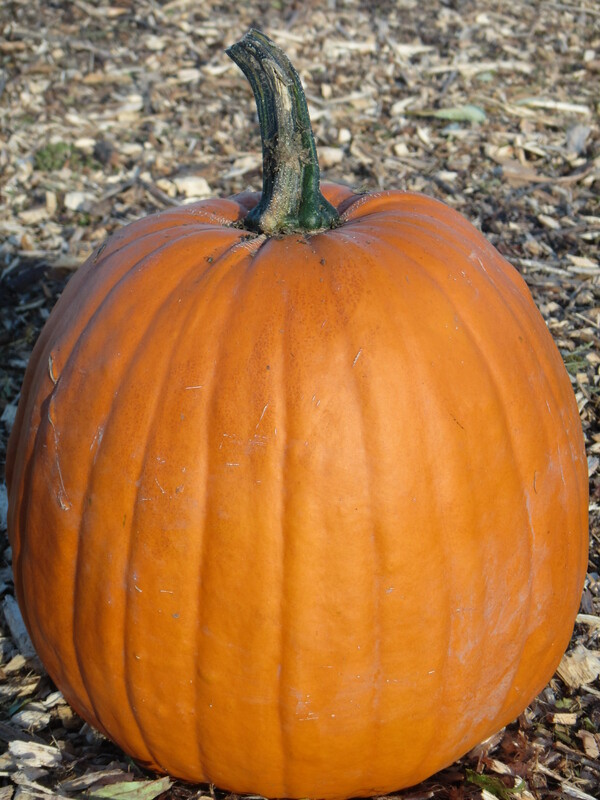 Place the pumpkin halves flesh side down on a parchment lined baking. Bake for about 30 minutes. In a skillet over medium heat add the vegetable oil, and onions. Scoop out the pumpkin flesh and add it to the skillet. Add the vegetable broth and bring to a boil. Reduce heat to simmer and let cook for about 15 minutes. Add the sriracha, garlic and ginger. Cook for a few more minutes. Add in the coconut milk and salt and pepper. Taste for seasoning and adjust if necessary. Squeeze juice from orange trimmings into a large mixing bowl to make ¼ cup juice. Add honey, salt and pepper, and whisk in oil. Add kale, pumpkin seeds, shallots, and supremed orange segments, and toss to coat with the dressing. Season to taste with salt and pepper. Add small dollops of ricotta cheese and very gently toss to combine before serving.